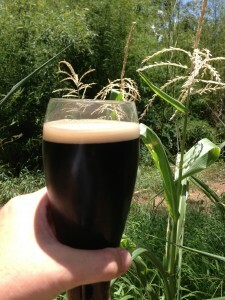 The basic flavors in a porter blend well with a variety of other flavors, making for a wide range of specialty porters. Porter is one of my favorite beer styles, in part because it is so varied. “Regular” porters range from fairly low gravity, chocolate-y beers similar to brown ales, to somewhat stronger beers with an aggressive roast malt character. (This spans the range of what the BJCP would describe as brown porters to robust porters.) The roast character can vary depending on the ratio of chocolate malt to black malt (and perhaps roasted barley) and overall a lot of different beers can legitimately fall under the porter umbrella. With it’s mixture of roast and caramel flavors, porter can also pair with a variety of other “non-beer” flavors to yield interesting specialty beers. Here is a rundown of some of the most common porter variants and how to brew them at home. 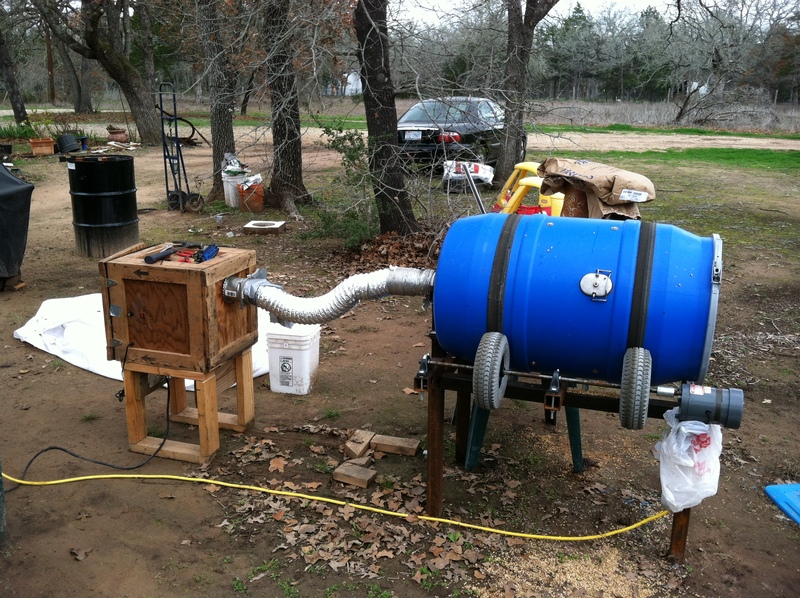 A home malt smoking drum. Smoked porters are a popular variation on the porter theme. Alaskan Smoked Porter is probably the best-known commercial example. Homebrewers can brew a smoked porter by substituting smoked malt for some or all of the base malt in the recipe, depending on the intensity of smoked desired. Weyermann rauchmalz or home-smoked base malts can be used. Alternately, up to about 5% of the grain bill can be swapped for peat-smoked malt. Extract brewers can make a smoked porter if they reformulate their porter recipe as a partial mash and substitute smoked malt for the base malt. Do not use the “liquid smoke” sold at barbecue shops or at the supermarket and expect good results. Milk chocolate is a blend of cocoa, sugar and vanilla. Adding vanilla to a porter makes a beer reminiscent of a candy bar. A few commercial breweries, including Breckenridge, brew (or have brewed) vanilla porter. Homebrewers can make vanilla porter by steeping vanilla beans in their beer. For a 5.0-gallon (19-L) batch, usually 1 or 2 vanilla beans (sliced open and with the insides scraped out) are added in secondary or in a keg. The beer is then separated from the vanilla beans when the desired flavor intensity is reached. Vanilla is going to work best in porters with a strong chocolate malt character. A little bit of sweetness, perhaps from the addition of a small amount of lactose — less than would go in a sweet stout — in the boil, can be a good thing in a vanilla porter. Coffee is a beverage made from roasted coffee “beans.” Many commercial breweries make a coffee porter. For one example, a brewery just up the road from me — Real Ale in Blanco Texas — brews one. To make a coffee porter, brew some strong coffee or espresso and add it in secondary. For 5.0 gallons (19 L) of beer, 8–16 fl. oz. (240–470 mL) of coffee added in secondary should do the trick. Instead of making coffee in the normal manner, some brewers steep the coffee beans (whole or coarsely ground) overnight in cold water and use this extract to flavor their beer. You can also “dry bean” a coffee porter in the keg to touch up the flavor and aroma. Coffee works in almost any porter, but I like it in beers that stress the black malt over the chocolate malt, and include some roasted barley — which is the most coffee-like of the usual roasted grains. There are coffee malts that are occasionally available to homebrewers, also. Coffee flavors and aromas are accentuated in porters that are relatively dry. On the other hand, they can also taste great in rich-chocolate-y porters (and probably everything inbetween). Porter can be brewed with lager yeast, as Yuengling Porter is and most Baltic porters are. One of the biggest keys to success in brewing a porter with lager yeast, is pitching an appropriate amount of yeast. Depending on the yeast strain you choose, a diacetyl rest may also be required. Using honey in a porter is a balancing act. For 5.0 gallons (19 L) of beer, 2–3 lbs. (~1–1.5 kg) of an aromatic honey variety — added late in the boil — should work well. Even though it is very sugary, raw honey does not support the growth of microbes. As such, adding it in secondary is also an option. You’ll need to stir to dissolve the honey in the beer and wait at least several days for the yeast to ferment the sugars. 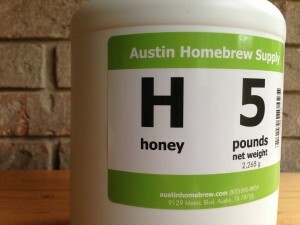 No matter how you add the honey, expect only the aroma (not the sweetness) of the honey, to be detectable in the beer. Tomorrow, I’ll discuss still more porter variants and wrap this series up. Obrigado por compartilhar a sua experiência.